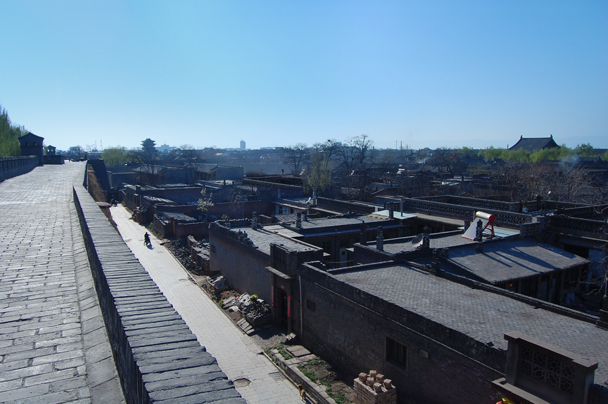 In Brief: Photos of the walls, streets, lanes, and colourful characters of Pingyao, plus some shots from a hike in the hills nearby. 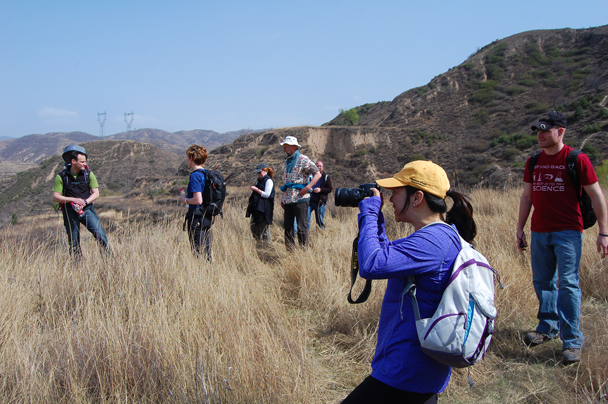 On the morning of April 5, we took the fast train to Taiyuan, the capital of Shanxi Province, some 500km away from Beijing. 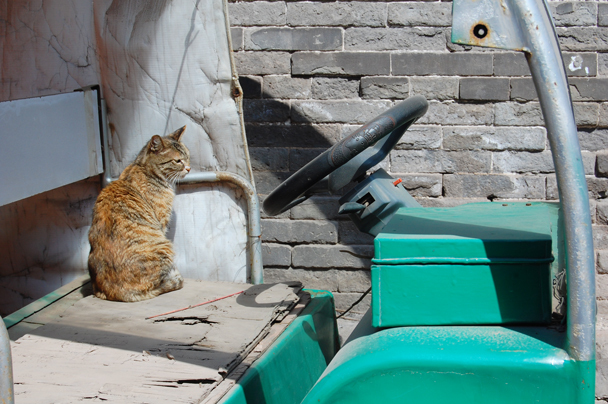 Another 100km on our private bus, and we were in Pingyao! 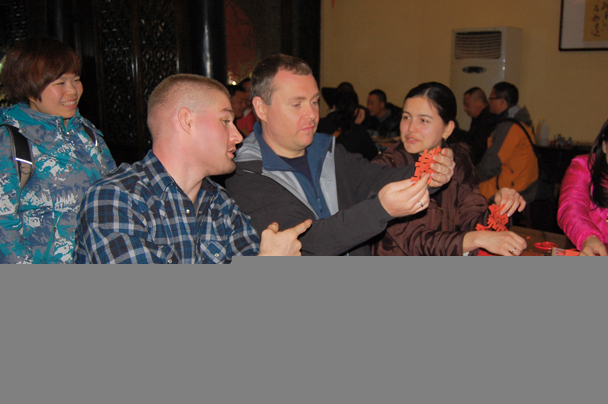 Our tour of the city, accompanied by a local expert, first took us to one of the most famous locations in Pingyao – the Rishengchang Exchange House, founded in 1823. 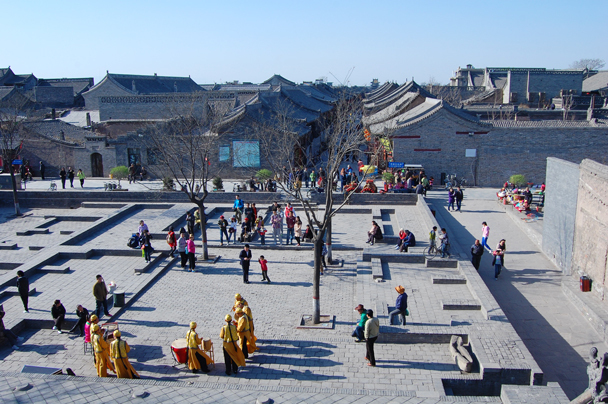 We then took a shortcut through the streets to reach the old city government offices and jail, and headed on to Pingyao’s main street – the Ming and Qing Street – and on again to one of the Taoist temples in the city. 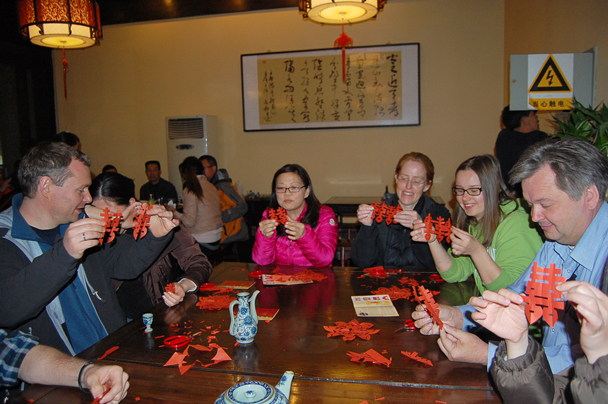 After a big lunch, we made further visits to the Confucius Temple and the Temple of the City God before climbing on to and circumnavigating the city walls. 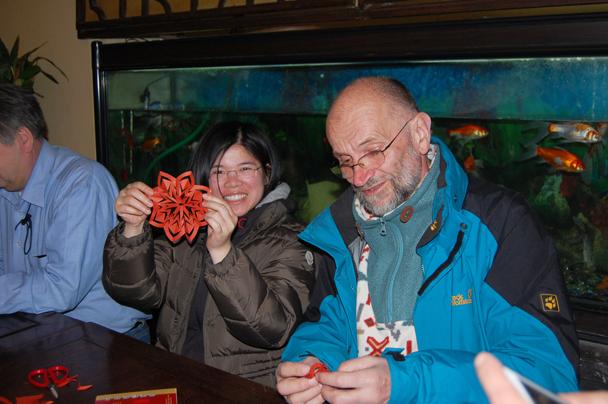 Later that evening we had a class on papercutting, and then it was time for bed. A long day! 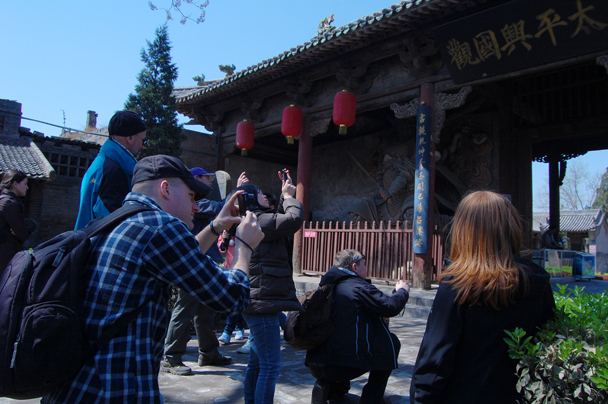 On the last day we had some extra time to explore the city by bike or on foot, and then after lunch we drove to Shuanglin Temple, 6km outside of Pingyao. 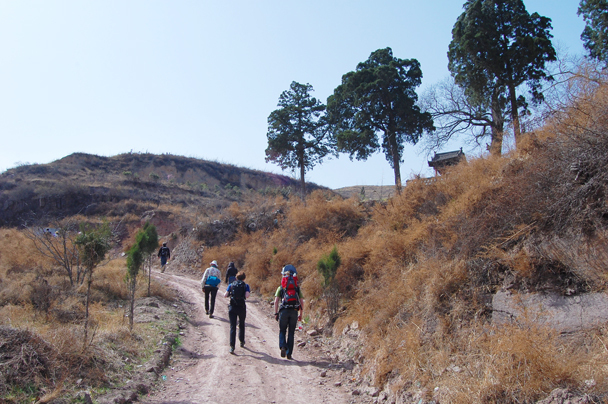 After that, we headed off on a little hike, walking through the hills to reach White Cloud Temple. And that was it! A very nice trip, with very nice people. Photos below! Many copper coins and slips of iron are sandwiched between these bricks. Our local expert explained why. 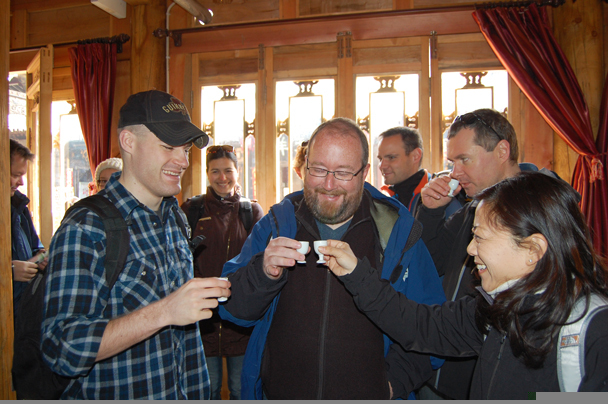 We were welcomed with small cups of a local specialty: Yellow Wine. Cheers! 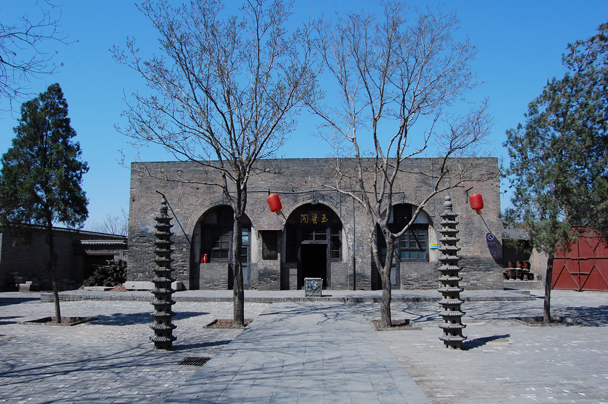 A photogenic Taoist temple that is still active. 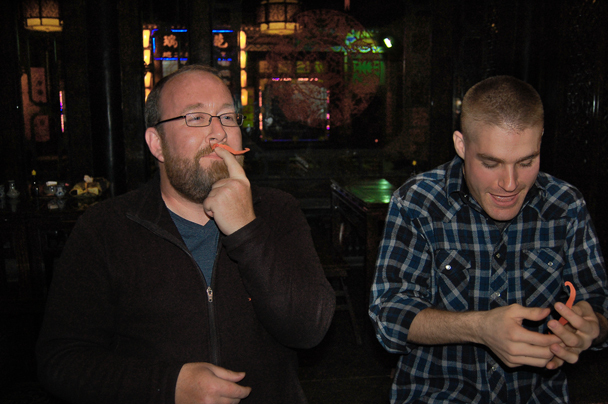 We found Taoist monks inside. 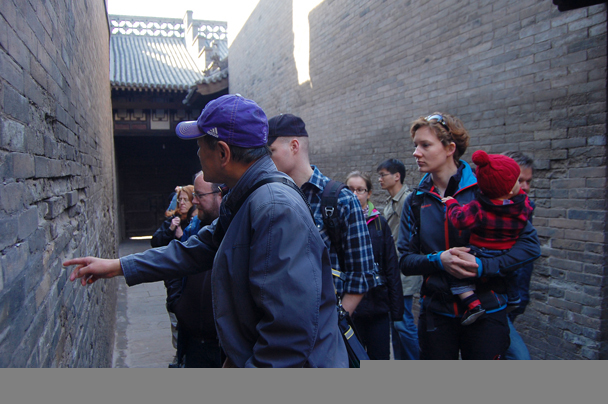 Inside the walls of the Taoist temple. 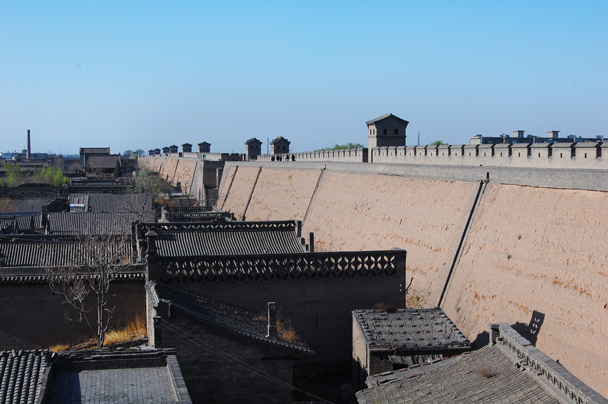 Pingyao's thick city walls are more than 600 years old. 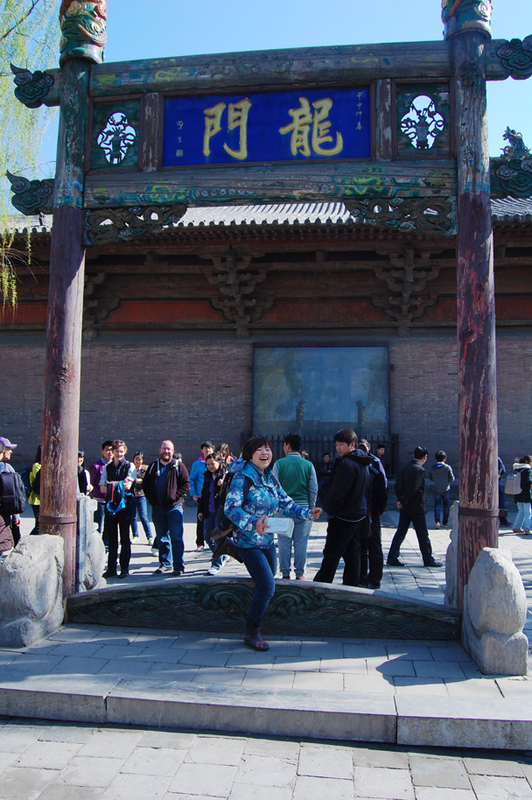 The towers, crowds (and the lion statues hidden behind the crowds) indicate that this is a place of interest. On the left, between the lions, is the old county government office. The cat had taken over. 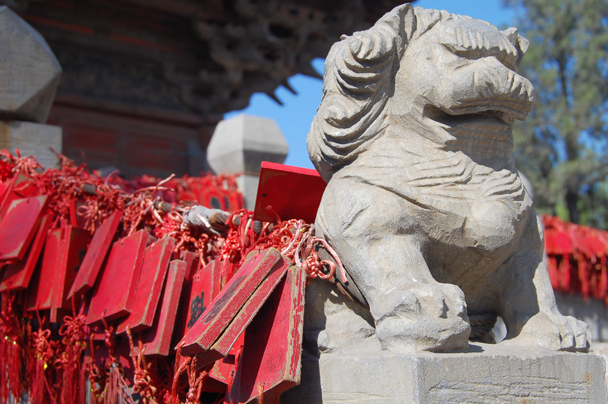 Pieces of wood, painted with a wishes are locked to the cable behind the statue. On one of the pieces of wood we can see the character “champion”. Not wishing for too much, we hope! 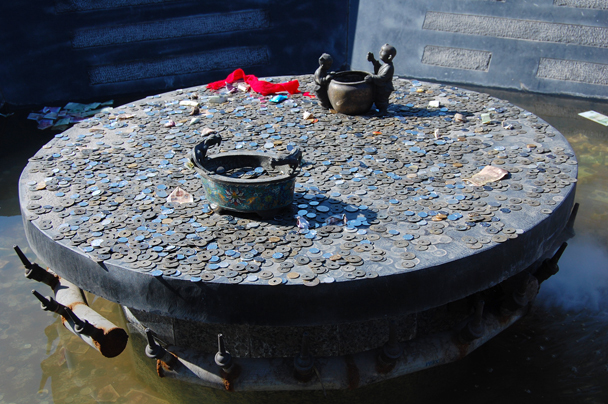 If you can toss your coin into one of the two bowls you're sure to have extra good luck. 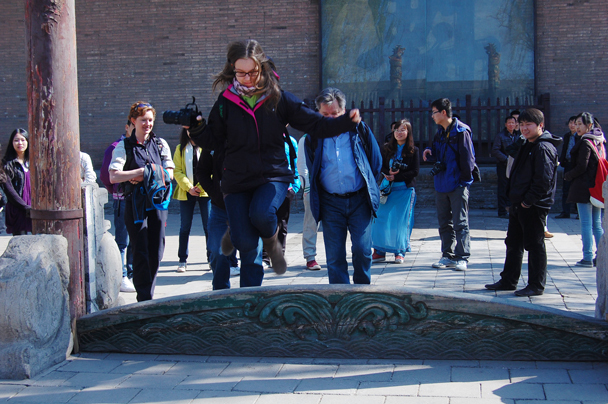 More good luck can be obtained by jumping over the Dragon Gate. 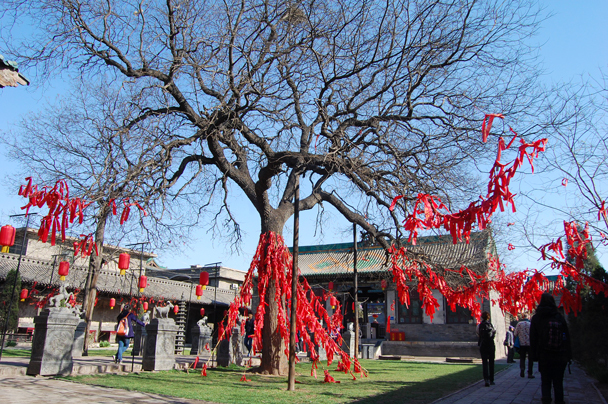 A wishing tree: tie on a ribbon, and make a wish! Hiker Cindy tried it out. 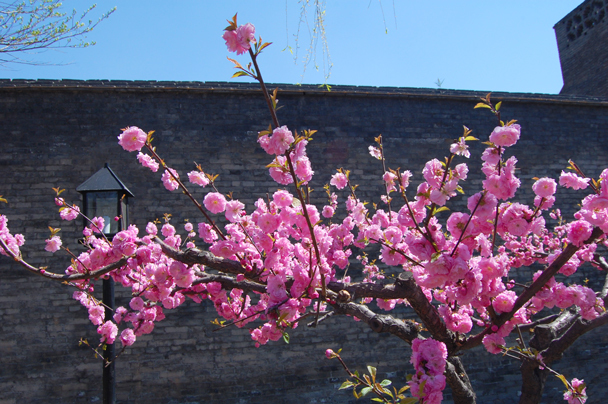 Cherry trees in bloom in the garden of the local magistrate. 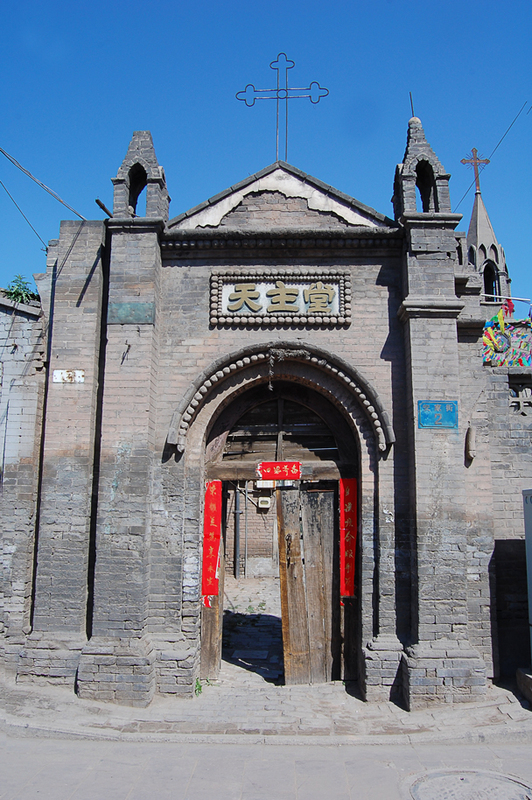 Wandering through the narrow lanes in Pingyao, we chanced on a Catholic church. On our stroll along the city walls, we spotted a group of musicians who were playing vigorously. 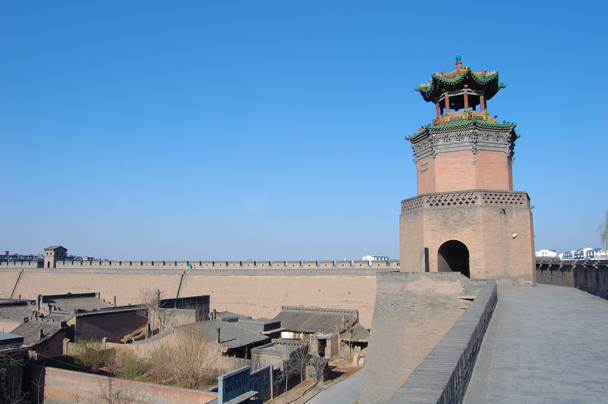 One of the Watch Towers on the City Wall. 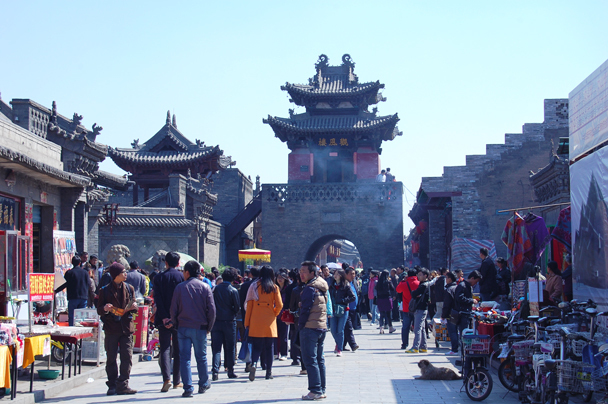 Pingyao is the only walled city in China that has been completely preserved from Ming and Qing Dynasty. 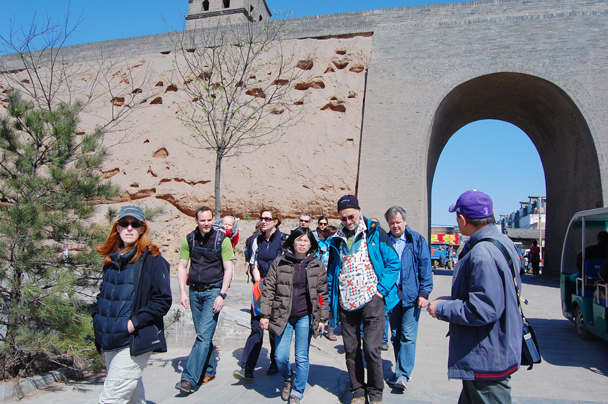 We walked the whole city wall, about 6km. 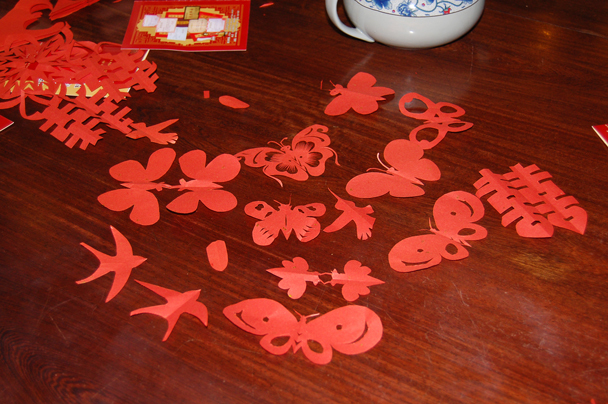 How to cut a flower shape out of paper. Not bad! Next: Double Happiness characters, often seen on wedding days. Let’s see whose is better! Extra points for the freestyled mustache. We learned how to cut quite a few shapes during our lesson: butterflies, birds, and more! 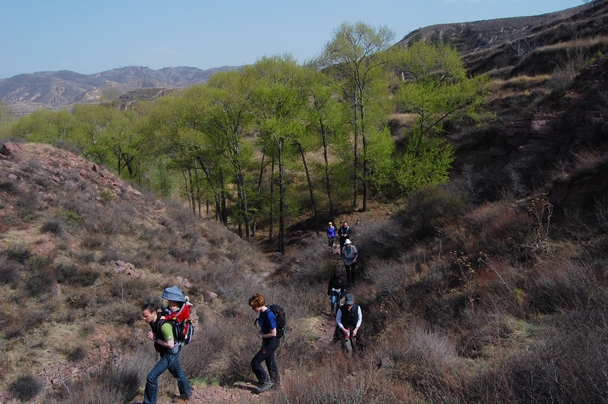 Here we're on our hike to the White Cloud Temple. 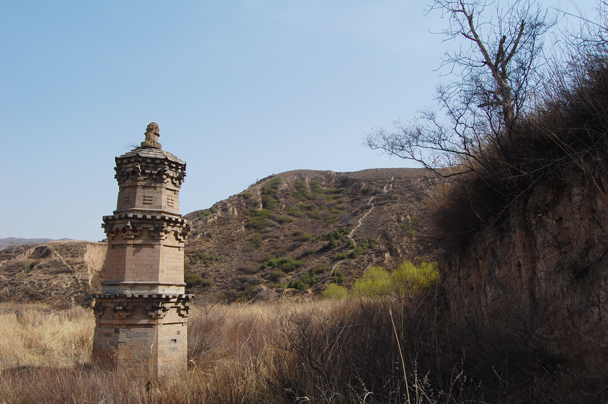 A pagoda stands atop the hill. A perfect place for a photo. 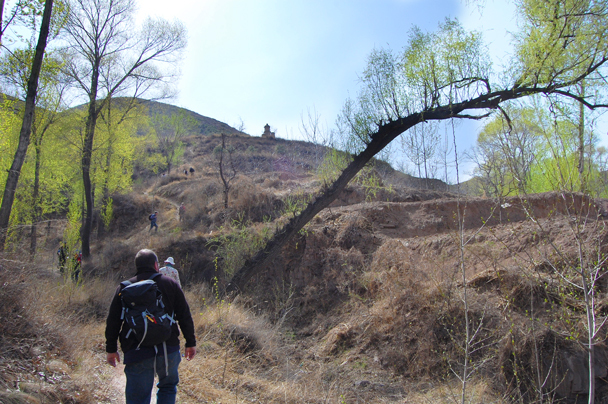 This pagoda is all that's left of an old nunnery. 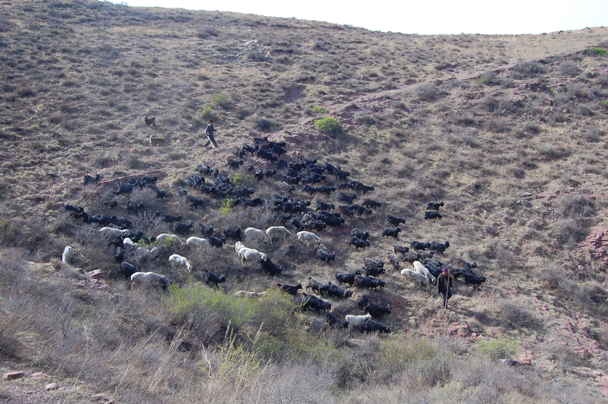 We met a shepherd and his goats. 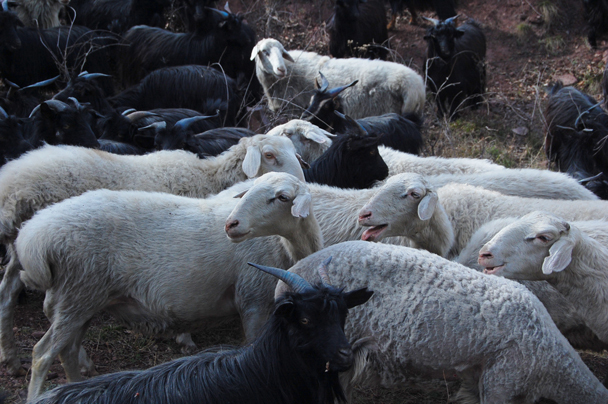 Quite a few black sheep in this family. 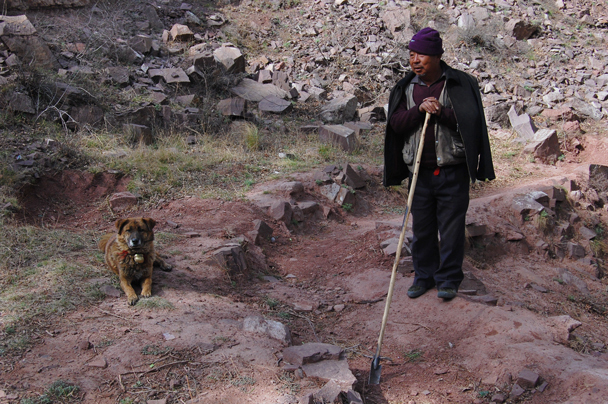 The shepherd and his working dog. 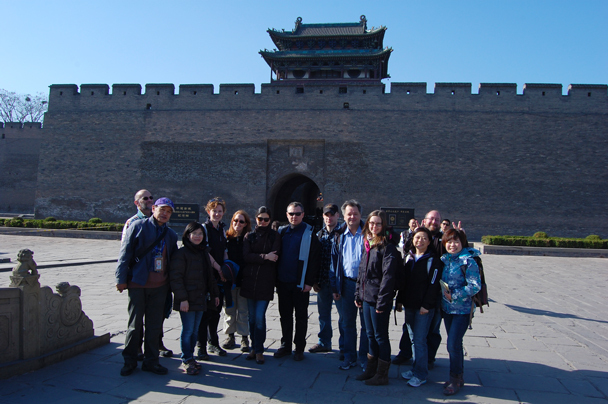 A group photo in front of the south gate of Pingyao city.